With stomachs full and plenty of light left in the day we made our way north. 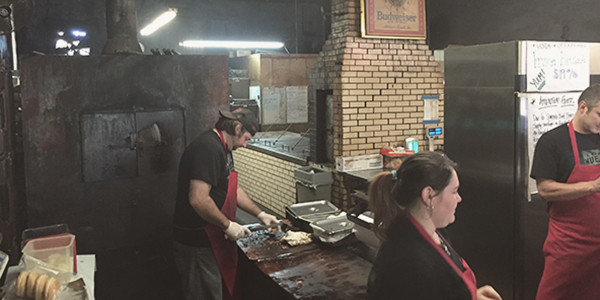 We traveled the open road to the sausage capital of Texas, Elgin. The first thing you should know there are two main sausage staples in Elgin, Southside Market and Meyer’s Smokehouse. 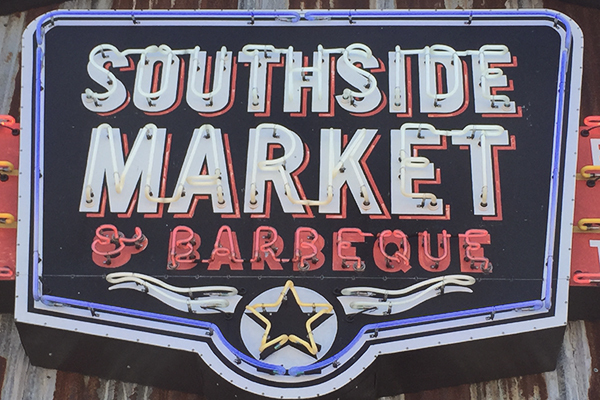 Still recovering from the amount of BBQ we had in Lockhart we had to choose one and went with the more known Southside Market. The front of Southside is a large open restaurant and behind is a huge sausage making factory, pumping out mass quantities of sausage for local grocery stores. We made our way in and ordered the two varieties of sausage almost every Texas BBQ place has. The first is the original sausage which is normally a mix of salt, pepper and garlic with each place having its own spice twist. The second is a jalapeño cheese sausage and is my personal favorite. Sausage is often over looked when it comes to BBQ and most people don’t know the potential a really good sausage can have. 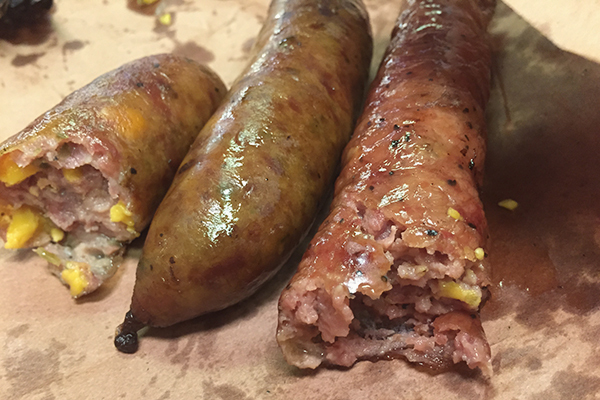 I’ve had some sausages that friends have brought back from Texas before so I knew the magic of a well smoked Texas sausage, but biting into a fresh one that a skilled pit master has cooked blew me away. Perfect snap and more flavorful and juicy then you could imagine. I had promised friends and family that I would bring back enough for all of them, so with 10lbs of sausage in tow we continued our trip north to Taylor home of Louie Mueller Barbecue. 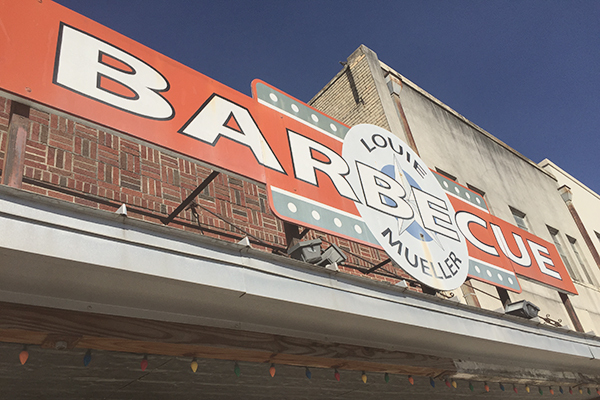 I could write a book on the experience at Louie Mueller, But to experience it best you just have to go, I encourage all the readers who love BBQ to set a date and make the trip to all of these BBQ landmarks. To sum up Louie Mueller best, the one word that comes to mind is “legacy”. 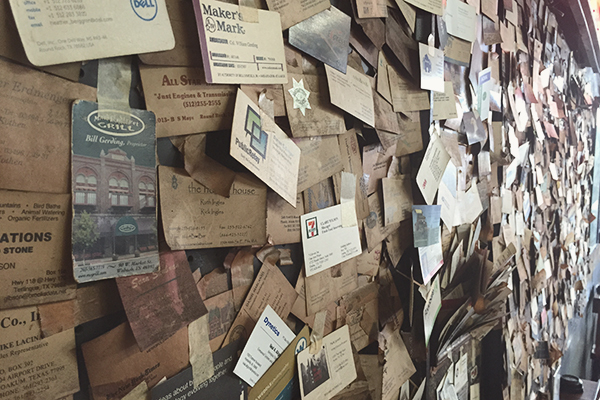 This place is covered in history from the smoke stained walls and windows to the old business cards on the wall you feel like you walked back in time. 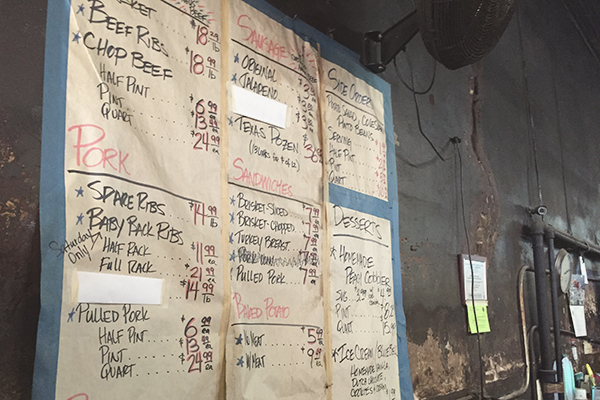 As far as legacy, Louie Mueller is the grandfather to the great BBQ in this area. A little history lesson- John Mueller was the pit master of Louie Mueller, Aaron Franklin (Franklin BBQ) worked under John Mueller when he went out on his own, then John Louis worked for Aaron franklin before opening up his own place La Barbecue and it continues to spread even to Utah where Bam Bam BBQ opened after Cameron Treu interned at La Barbecue. 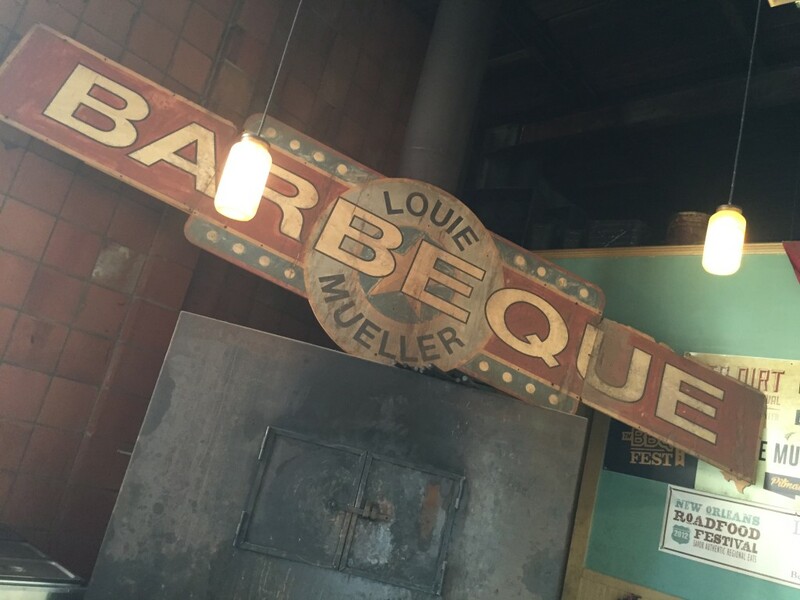 There is a reason why so many great Pitmasters have come out of the lineage of Louie Mueller, their BBQ is out of this world good. As you go up to the counter they slice off a perfect piece of brisket to let you sample (very reminiscent of Katz deli in New York where you get a slice of pastrami) after that first bite your hooked and have to contain your excitement so you don’t order 20 lbs. We spent the next 20 or so minutes sitting in the dim lit room eating great BBQ and reliving history. 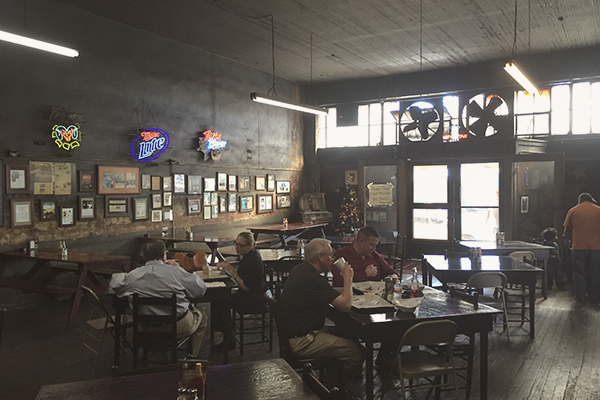 It was a busy day of eating BBQ starting in Lockhart and finishing in Taylor. I have to say being a professional BBQer it was one of the greatest and most inspirational days I’ve had.